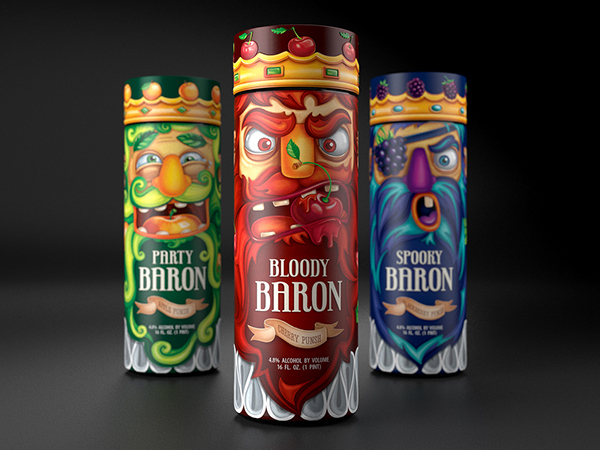 Everyone who chooses alcohol drinks often imagines himself to be a connoisseur. 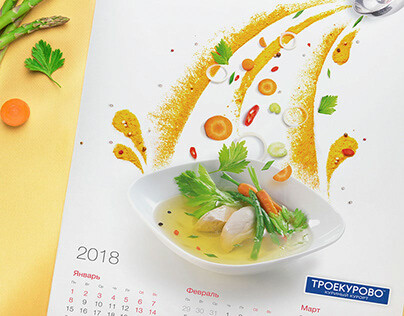 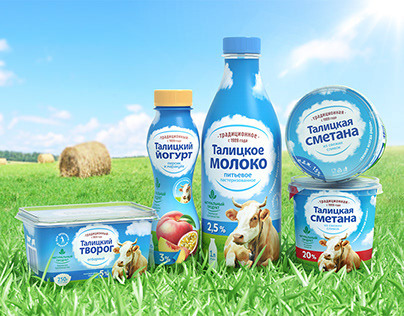 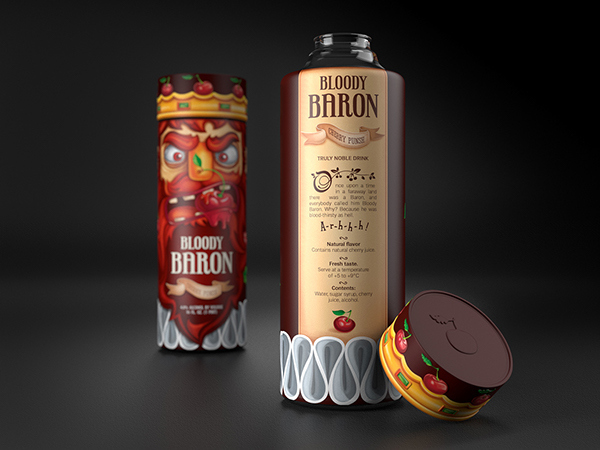 «A hint of baked apple», «the scent of plum and smoke», «shades of rose and apricot», «velvet taste»… And it is also often that only one drink is enough to take all the arrogance to a back seat — people can just enjoy life. 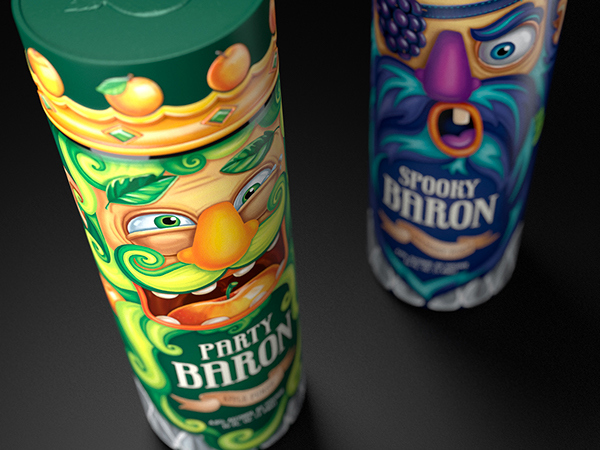 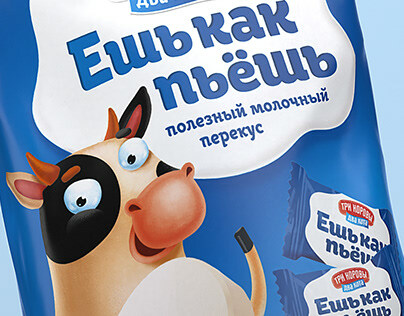 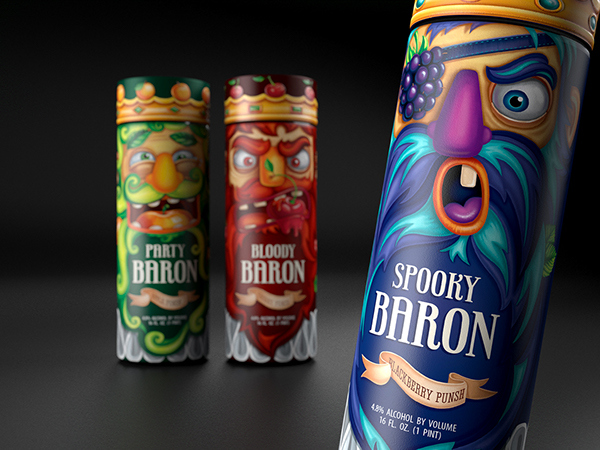 The concept of packaging for the series of fruit&berry punches called «Party Baron» is the epitome of this phenomenon. 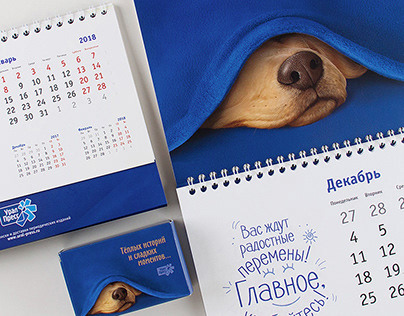 All the lordliness disappears when the cover is open — you are decrowned and happy. 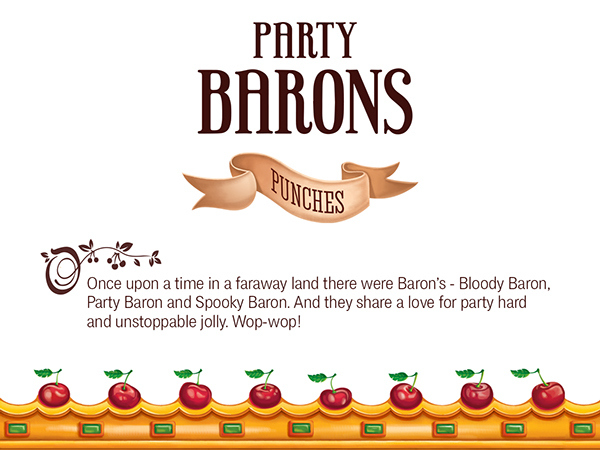 You are Party Baron!